Getting hurt in an accident often means having to deal with an insurance company in the aftermath. Whether you have endured a car, truck, or motorcycle crash, or a slip and fall, you will need to sort through complex paperwork to make sure your claim is filed properly. The injury lawyers at the Law Offices of Robert Dixon can guide you through the insurance claim process in the Miami area. We help protect the rights of individuals throughout Broward, Miami-Dade, and Palm Beach Counties, as well as across Florida. Please contact our office today for a free consultation about your case. Uninsured Motorist, which provides compensation if you've been involved in an accident with an uninsured, underinsured or hit-and-run driver. Under Florida law, motorists must have a minimum of $10,000 in PIP coverage to compensate for medical and disability damages, as well as $5,000 in case of a fatality. They must also have coverage for $10,000 in property damage liability. Florida does not require any drivers to obtain uninsured motorist coverage, and only certain types of drivers are required to obtain bodily injury insurance coverage. Individuals who have been convicted of certain offenses, or have been involved in prior accidents, must have bodily injury coverage of $10,000, and motorists who have been convicted of driving under the influence must obtain bodily injury coverage of $100,000. Florida is a no-fault state, which means that insurance companies must make payments on claims following an accident, regardless of who was responsible for it. 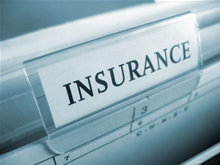 Insurers are required to compensate policyholders for medical expenses and other losses. However, claims against an at-fault driver can be pursued directly if an accident leads to permanent injuries. These may include significant and permanent scarring or disfigurement, or the loss of a vital bodily function. Insurers and their insured often have clashing interests, and sometimes these companies will attempt to settle cases for a low amount to minimize their costs. Depending on the settlement offer's amount and the stipulations on what it covers, accepting it could mean the insured has waived his or her right to additional compensation. Because of the complexity involved in dealing with insurance policies and companies, it is important to consult a knowledgeable attorney to make sure your rights are preserved and claims are handled properly. Insurance companies often take any chance they get to reduce expenses and minimize claim payouts, sometimes through capitalizing on a claimant's filing mistake or through more dubious behavior that may involve bad faith. If you need advice regarding your insurance following a Fort Lauderdale accident, the injury attorneys at the Law Offices of Robert Dixon can offer you guidance. Our team handles all types of insurance issues and can help you in dealing with your insurer. Contact us to schedule a free consultation regarding your claim. Please call (877) 499-4878 or fill out our online form for a free, no-obligation consultation.